"Great surprise!! 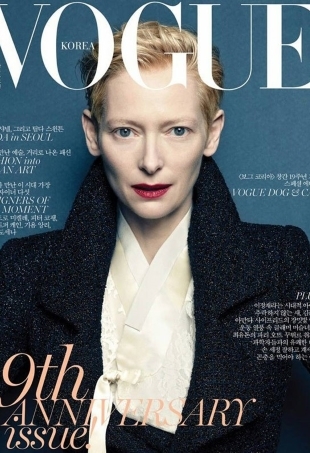 Love the minimal retouching and Tilda looks great here." 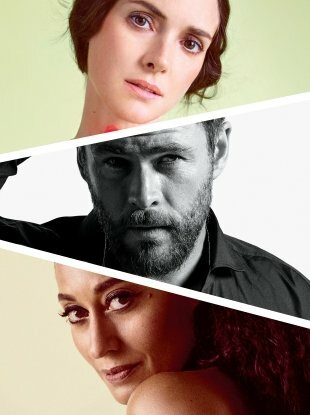 The actress is like David Bowie and Grace Jones combined, reconfigured for the new millennium. Tilda was elegance personified at the awards in this simultaneously draped and structured neutral gown. 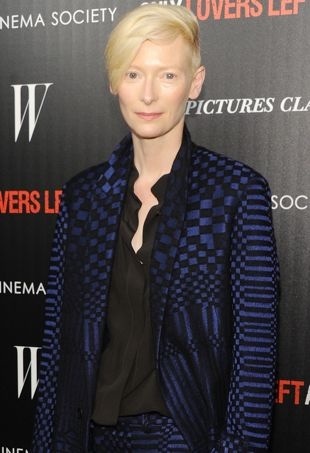 Tilda proved she’s the queen of the masculine-meets-feminine vibe decked out in her go-to designer’s Fall 2014 printed long coat and matching pants.